We made it our New Year's resolution to live a more organized and junk-free life. Here's how you can make it happen! 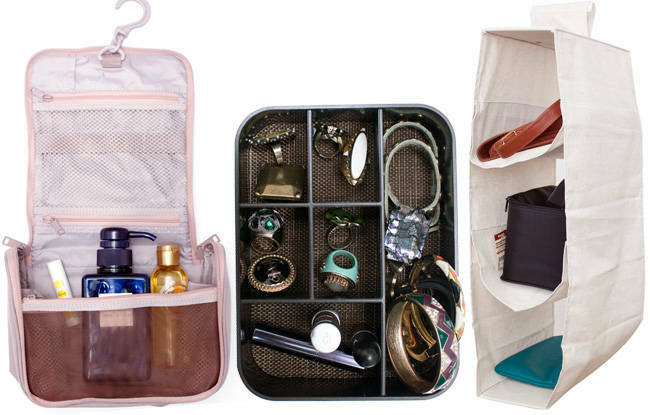 We know you've been dying to clear your desk and organize your closet since last year. But chances are, you can never bring yourself to go through piles and piles of accumulated junk. Even we at Cosmo have a hard time sorting our stuff (P.S. You really don't want to see our desks). But we want things to be different. So we made it our New Year's resolution to declutter, sort, and organize our things—and we want you girls to do the same! We shopped for the best organizers, space-savers, and storage boxes so you won't have a hard time cleaning up. Trust us, these nifty finds will save your life—and sanity. We challenge you to welcome 2013 with a clutter-free life! Are you up for it? Click on the gallery below and check out our top picks!